Here’s Joshua and Josiah singing the A-B-C-D-E-F Song. 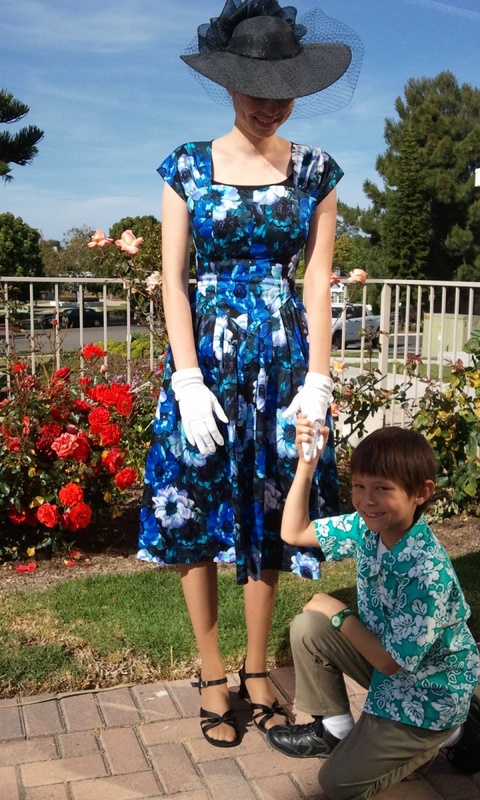 Saturday evening (May 17th, 2014), Sarah sang in Orange Coast College’s “Evening Chat.” The theme was Disney and the all of the songs were taken from various Disney films. Sarah sang “When She Loved Me” from Toy Story 2. 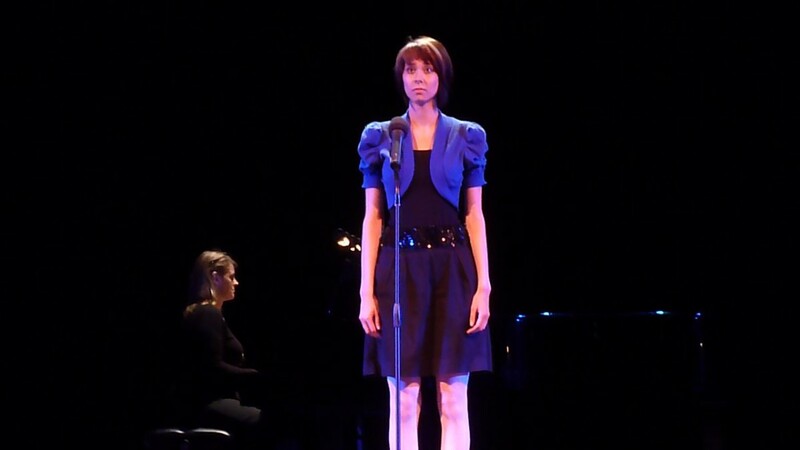 The song is sung from the perspective of the doll Jessie who was once loved by her owner, Emily, but is now forgotten. Sarah did a great job! 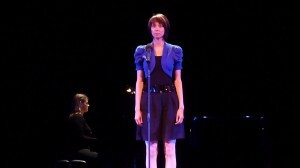 Sarah on Stage. Click for full size. Here’s a link to YouTube. Sarah, Elizabeth, Joanna, Jeri, and Victoria after the performance. 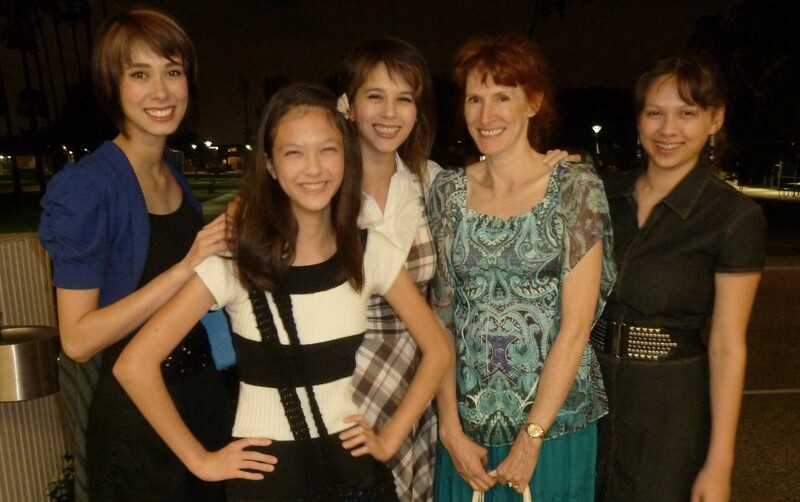 Sarah, Elizabeth, Joanna, Jeri, and Victoria after the performance. Click for full size. 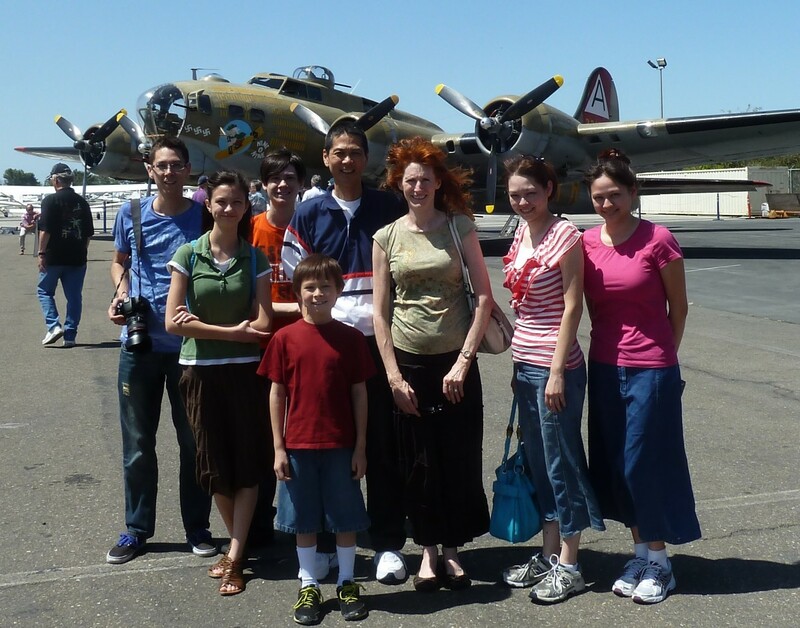 On Monday, May 13th, 2014, most of our family went to the Lyon Air Museum to see a display of WWII planes. Because Jason had to work and Sarah and Joanna had class, they couldn’t join us. Tim went into work early and stayed late so he could take off a couple of hours to go to the museum. Tim’s office was just a short drive from the museum. The Collings Foundation brought in a Boeing B-17 Flying Fortess, Consolidated B-24 Liberator, B-25 Mitchell and P-51 Mustang fighter for the weekend. The group takes the planes around the country to share a bit of history. We arrived at the museum shortly after they opened at 9 AM. 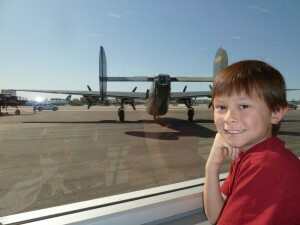 We watched as a P-51 and then a B-25 take off from the John Wayne Airport. We kind of wondered if that was that last that we would see of the planes. The newspaper said that the planes would be available through noon on Monday. 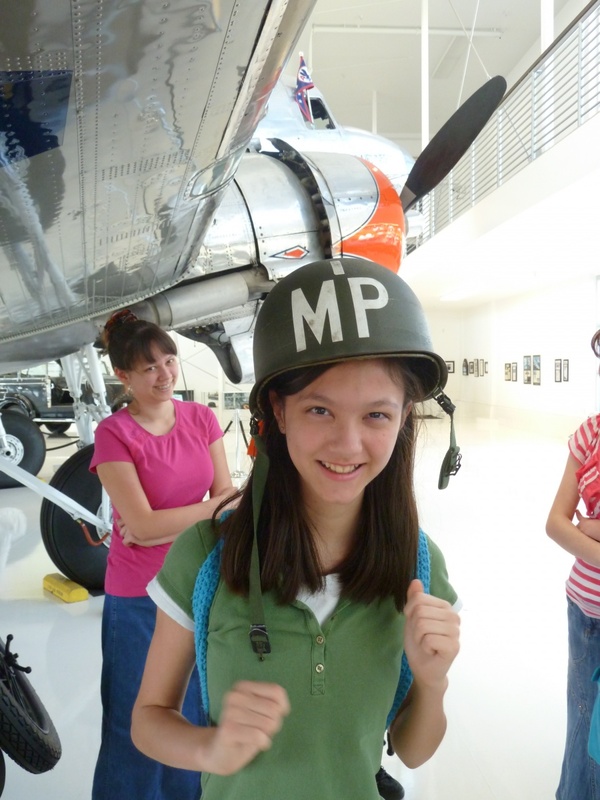 A friendly, young docent took us through the exhibits inside the museum. During the time of our tour, they were giving 20-minute flights on the planes (for $400 per person). The B-17 requires 300 gallons of fuel per hour to fly. 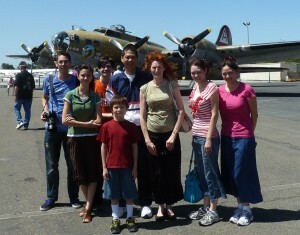 Here we are standing in front of a Boeing B-17 Flying Fortess. From left to right, Justin, Elizabeth, Jeffrey, Josiah (in front), Tim, Jeri, Nicole, and Victoria. In all of the pictures below, you can click on each image to view it full size. Use your backspace key or your browser’s back button to return to this article. Here’s Josiah inside the museum with a B-24 in the background. Josiah and a B-24. Click for full size. We were able to walk climb aboard a B-24. Because our family had read the book “Unbroken” which tells about Louis Zamperini’s story of being shot down in a B-24, we especially appreciated being able to be inside of the bomber. 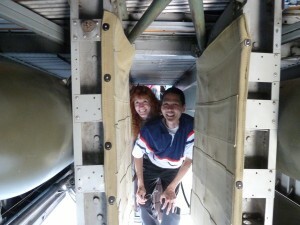 Jeri and Tim in a B-24. Click for full size. 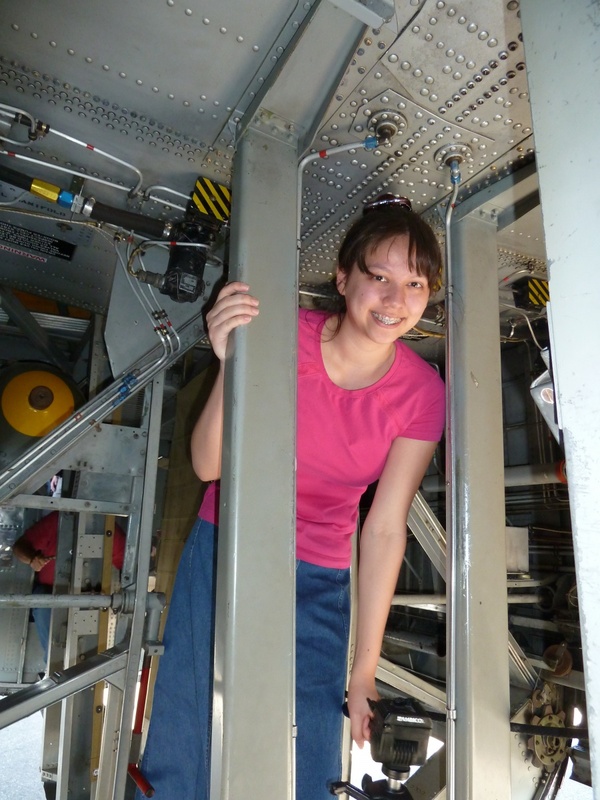 Here’s Lizzie in the B-24. 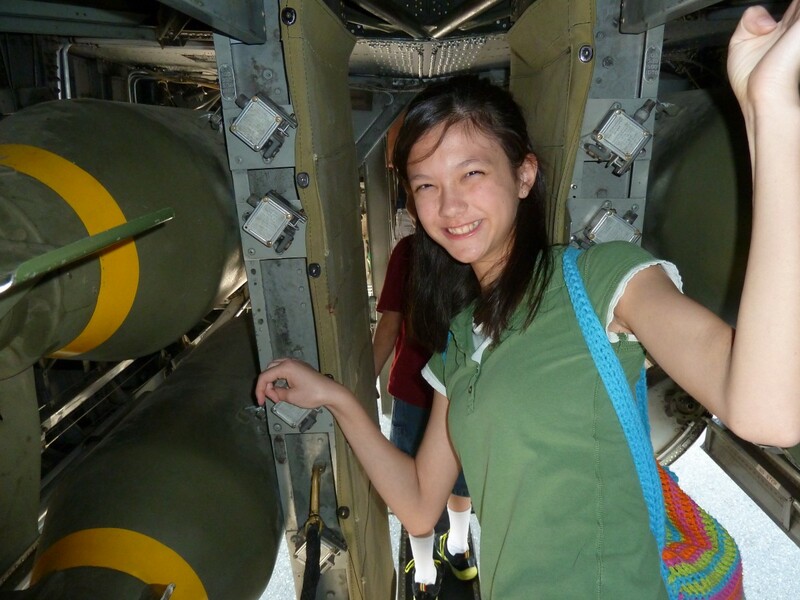 Lizzie in a B-24. Click for full size. Here’s a picture of Nicole. Nicole in a B-24. Click for full size. 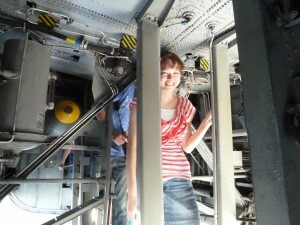 Victoria in a B-24. Click for full size. Here’s Elizabeth wearing on MP helmet. Lizzie Wearing an MP Helmet. Click for full size. For school, Jeffrey and Elizabeth wrote a short report of this field trip. Here are the links: Jeffrey’s blog and Elizabeth’s blog. 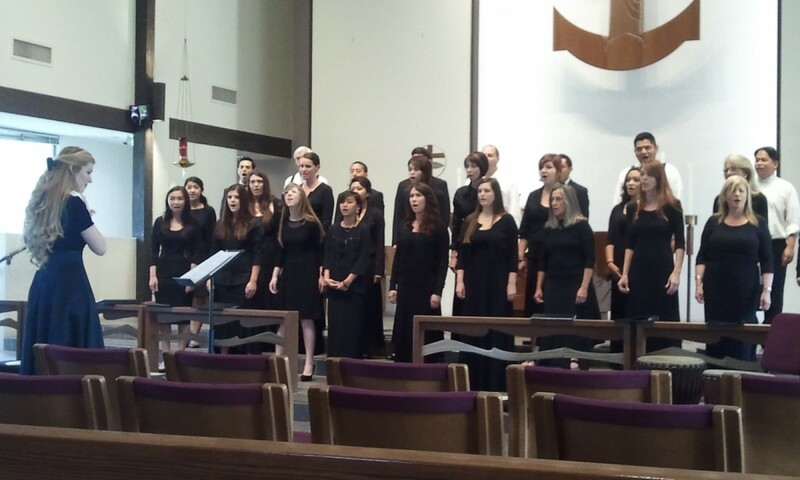 Sunday afternoon, Sarah and Joanna sang with the Orange Coast College Chorus. For the past few years, they have had at least one performance each semester. 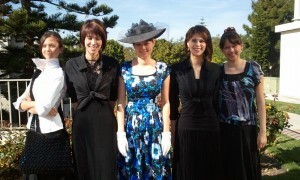 Each time some of us would attend…usually Tim, Jeri, Nicole, Victoria, and Elizabeth. The $10 ticket price was a minor deterrence. Because the concert was at a church instead of at college, they didn’t charge admission. 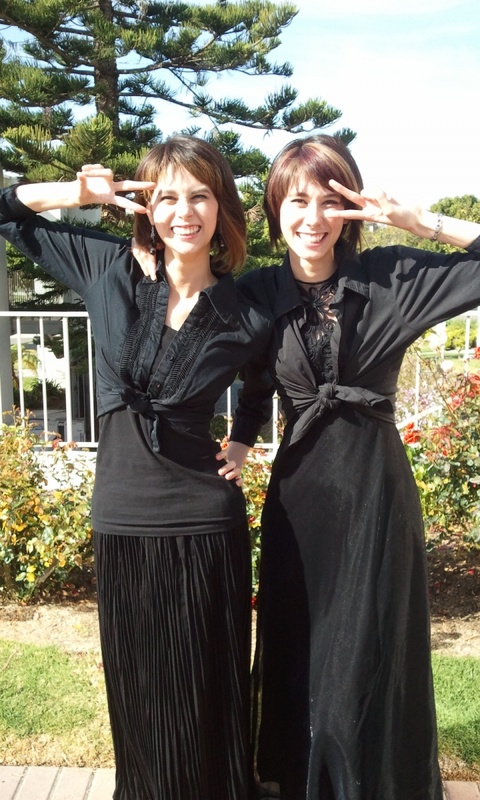 Thus for this concert, our entire family attended…much to the delight of the girls. 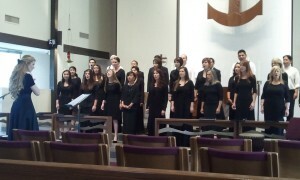 The concert featured a mixture of choral numbers as well as some small group and solos. The theme was war and peace. Probably a favorite piece from the afternoon was “Ol’ Man River” performed a capella by a male quintet. 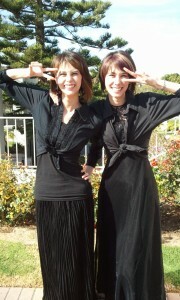 Joanna and Sarah having fun after the concert. Elizabeth, Sarah, Nicole, Joanna, and Victoria after the performance. Nicole looking nice with Josiah. 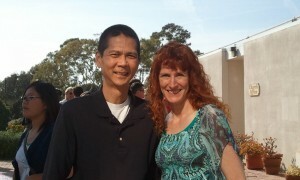 Tim and Jeri enjoying the sunny afternoon.